A timesheet is a system for employees and contractors to record the number of hours worked during a specific time period or the amount of time spent on a specific job. Timesheets are often used to calculate payroll. You can use a piece of paper, a spreadsheet, or cloud-based software to create a timesheet. As a small business owner, you already know that productive staff members are worth their weight in gold. 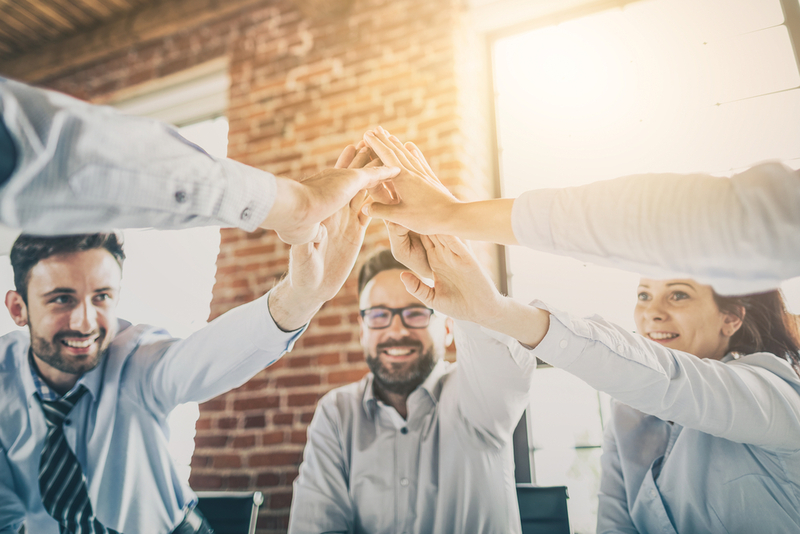 The more effort you put into making your team happy, the more successfully your business will perform. Having a good timesheet system helps every worker feels like their work matters and that they are being fairly compensated. If you employ hourly employees or contractors, then a timesheet is probably your tool of choice for accurately recording time worked. And if you’re a freelancer, you probably use a timesheet when billing clients. Timesheets are usually used to process payroll, but even if you have salaried employees, timesheets can help you with business planning and resource allocation. Learn about why timesheets are important and the different types that you can customize for your own small business. As we mentioned above, timesheets can be maintained in several ways. You can use traditional pen and paper, an online spreadsheet, or cloud-based software to record time and store timesheets. Calculate payroll and other benefits: Most businesses use timesheets in order to have a basis for calculating payroll for hourly employees. You can also use a timesheet to record other time-based employee benefits, like sick leave and paid time off. Resource planning: Knowing how much time employees or contractors spend working on specific types of tasks lets you strategically channel your business’s resources in the future. You can use historical timesheets to send client estimates or plan around employee vacation times. Staff development: Knowing how much time different staff members spend on different projects lets you identify your star employees, as well as employees who need more coaching. Even if your employees are all salaried, you can use timesheets to aid resource planning and staff development efforts. The very fact of implementing a timekeeping system can encourage employees to avoid internet browsing and social media, and stop other time-wasting activities while at work. That could be a big win for your business’s bottom line. Ask several small business owners about their time-keeping system, and each will probably describe something slightly different. Really small businesses with just a couple of employees can get by with a pen-and-paper timesheet, whereas rapidly growing businesses with employees in different locations will need a more automated option. 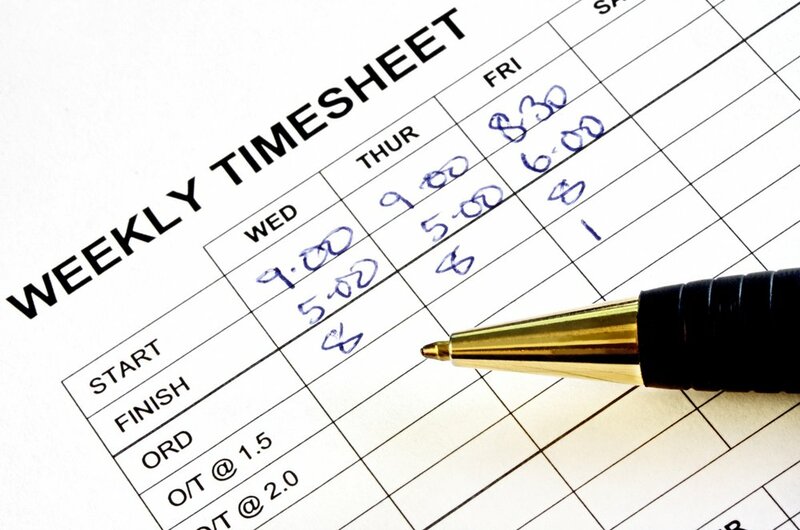 Paper timesheets are what businesses have used for generations. Employees write down the date, time in, time out, and what they worked on. If you’re completely new to time keeping and just want something to start with, a paper timesheet is certainly a better alternative to no time keeping at all. Online spreadsheets are a big step up from paper timesheets. Microsoft Excel and Google Sheets have built-in functionality to facilitate easy recording and create a standardized look to your timesheets. You can also easily change your timesheet reporting period with some copying/pasting. Manual time tracking is actually misnamed. This is a digital option, but one that requires staff members to take some sort of action to record time worked, such as turning an electronic timer on and off. This can work well for businesses with remote employees or employees out in the field (e.g. construction workers). Lastly, you can purchase timesheet or time tracking software to automate more of the process and increase accountability. With timesheet software, your employees still have to click a “start” and “stop” button, but there’s more accountability to the system. For example, you can track really detailed data, such as number of keystrokes, website usage, and employees’ GPS locations. Timesheet software usually integrates with a number of payroll services to make payroll easier. Popular examples include TSheets, Harvest, and ClickTime. Once you figure out which timesheet medium you want to use, you’ll have to determine what time period you want to record for. Semi-monthly: Employees get paid twice per month on two specific days, such as the 15th day and last day of the month. Monthly: Employees get paid once per month, usually on the last day of the month. Weekly: Employees get paid once per week, usually every Friday. Biweekly: Employees get paid every two weeks on a specific day of the week, such as every other Friday. Daily: It’s very rare for employees to get paid daily, but even if you use a different payroll schedule, you can ask workers to record time on a daily basis. Per-project basis: Employees and contractors report the amount of time they spend on a specific task or project. This timesheet option works well if you’re a freelancer who needs to bill your client for a specific job or if you need to record billable hours. 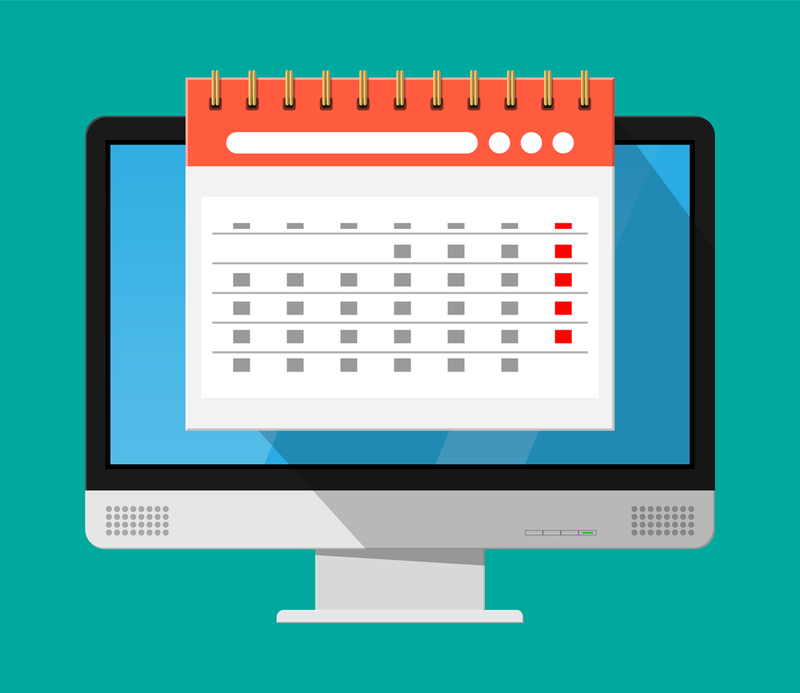 In most cases, your timesheet schedule should reflect your payroll schedule, but not always. For instance, you might pay employees semi-monthly but require daily timekeeping. This is quite common among small businesses because daily timesheets reduce human error. Employees are able to better remember how long and what they worked on today, versus trying to recall this information for the previous week or previous month. The federal government doesn’t mandate businesses to provide paid vacation time, paid sick leave, or paid meal and rest breaks. The exception is that a rest break under 20 minutes is compensable time that is considered part of the employee’s workday. The federal government also requires businesses to pay nonexempt employees time and a half for overtime. That said, many localities, such as New York City and Chicago, require businesses to provide a certain amount of sick leave. California requires employers to provide a 30-minute unpaid lunch break to employees who work more than five hours per day. Understanding your state’s and city’s laws will allow you to gather necessary information from your workers, such as start time, stop time, and “off the clock” meal and break time. Whenever possible, bring all employees into the fold on time tracking. When managers don’t just tell reports to use timesheets but fill out timesheets themselves, it is much easier to get employees to comply and remember. To encourage employees to fill out their timesheets, carve out some time on their calendar each day or each week. A quick and simple timesheet system will work out in the end for your small business. Employees won’t stick with something that takes too much time out of their already-busy day, so ensure that your time tracking system is user-friendly. To simplify things, host timesheet training and make clear to employees that all time worked should go on the timesheet. A survey from AffinityLive showed that 35.8% of employees don’t track time spent reading and answering emails, and 20.6% don’t track time spent in meetings. Without a comprehensive look into how your employees are spending their time, timesheets become much less valuable. To make your own life easier, make sure all employees are using the same format for date, times, and project codes. This will make it much easier for you to run reports and transfer timesheet data over to your payroll. Ultimately, setting up a good timesheet system is a team effort. You need to implement a quick and easy solution, and your employees need to use the system without fail. Timesheets might seem like a simple exercise in recording time worked, but used correctly, they are much more powerful than that. Timesheets can help you run error-proof payroll, efficiently allocate your business’s resources, and train and promote staff. In order to get all those advantages though, you need to find a timesheet solution that works for your company. The post What Is a Timesheet? appeared first on Fundera Ledger.